You don't have to move from one bank to another to link your account to your Bank Verification Number (BVN) since most of the commercial banks in Nigeria has created a very simple way to do it from the comfort of your home. 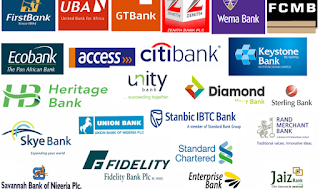 I have compiled the list of the major commercial banks in Nigeria and their respective means of linking BVN to your account with them. Before you continue with this article, I believe you have already enrolled for your BVN if not, you will need to go to your Bank to get registered. First Bank Nigeria Plc: Link your BVN to your First Bank account by following this link- http://bvn.firstbanknigeria.com/form/ and fill the form as required. United Bank for Africa: UBA customers can link their BVN to their account by either dialing *919*6# with the phone number that is associated with your account OR follow this link http://uapps.ubagroup.com/linkbvn/ to link it online. Skye Bank Nigeria Plc: Skye bank customers can link BVN to their accounts via the e-banking login platform OR write a mail to yescenter@skyebankng.com with the following details: Account Number, Account Name, BVN Number, Name of Bank where you enrolled for the BVN. Access Bank: To link your BVN to your Access Bank account, you can either do it by sending your Account number followed by your BVN number to 20121 for example 0123436789 91827364536 to 20121 OR follow this link http://bvnlinking.accessbankplc.com:8080/bvnlinking/bvn.jsp to link your BVN to your Access Bank online. GTBank: Read my previous post - Link your BVN to your GTBank account online. Sterling Bank Plc: To link BVN to your Sterling Bank online, logon to https://www.sterlingbankng.com/bvn/ and make sure you have your bank details, email and mobile phone number handy. You know any other bank that allows BVN linking from anywhere like the ones on this list? Kindly tell us via comments.